The fourth annual Workers Unite! Film Festival kicked off May 7 in New York City, and features 45 films, ranging from a six-minute short to a number of documentary features, focused on workers’ struggles and the labor justice movement. The cinematographic “salute to global labor solidarity” will have showings at Cinema Village, Anthology Film Archives, 1199SEIU and other locations around the city. The Indypendent previewed five festival films — only a small sampling of those offered — that highlight the campaign by workers at one New York City food chain for a union, the fatal consequences of the temporary worker industry in the United States, textile worker abuses and child labor violations in Pakistan, and how the big business of foreign aid is often detrimental to workers in developing nations. The festival runs through May 27. 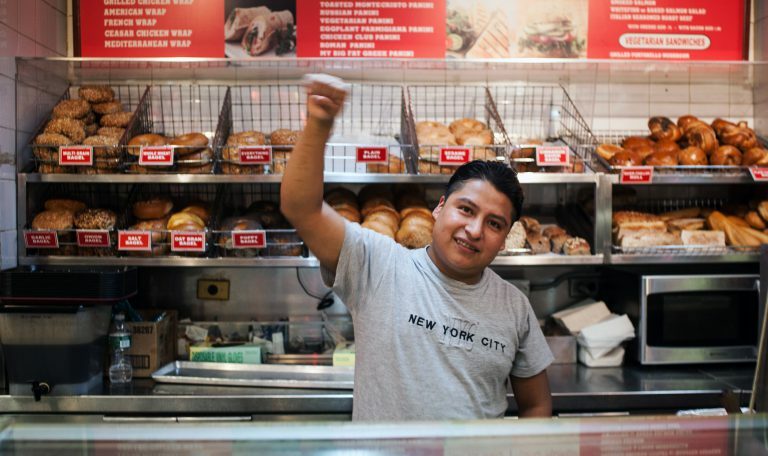 In 2012, workers at a Hot & Crusty sandwich shop in Manhattan began to organize, after asking for higher wages, benefits and respect, and getting nowhere with management. 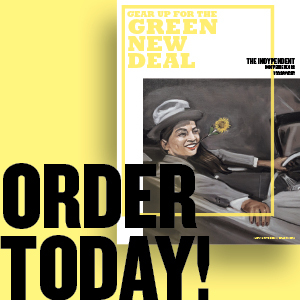 The Hand That Feeds chronicles their campaign for an independent union, profiling one worker-organizer, Mahoma López, who leads his co-workers through organizing a two-month picket line and eventually negotiations with their employer. The workers — many Spanish-speaking, undocumented immigrants, forced to work when they’re sick, some paid below the minimum wage and facing threats from managers who say they’ll call immigration authorities on outspoken workers — ally with the Laundry Workers Center and Occupy Wall Street activists in a touch-and-go fight to secure a union and fair contract. In one scene, a Hot & Crusty worker talks about sending money to his family in Mexico so his daughter can attend college. “They say we’re criminals. But they are the real criminals. They steal our wages,” he says. The film’s narrative builds as organizing at one location spreads to other store franchises and the workers and allies escalate their pressure tactics, from adding photos of owners and managers to fliers, to occupying the café with activists, to picketing during the resulting lockout and management’s threat to shut down the business — a strategy to avoid negotiating with the newly formed Hot & Crusty Workers Association. 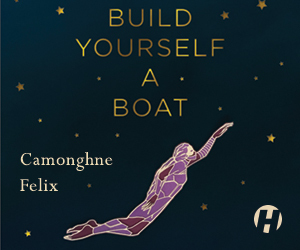 The filmmakers tell an inspiring, unique story of labor struggle, with national implications for unions and movement building, yet keep it about the individual workers and their professional and personal struggles to continue the fight. After their union victory, the workers know their struggle is not over. They continue to stand in solidarity with other low-income workers, and walk the talk by supporting fast-food workers and the larger fight for a $15 per hour minimum wage. The Hand That Feeds screens at Cinema Village on May 14 at 6:30pm. This moving documentary tells the story of Lawrence “Day” Davis, a 21-year-old temporary employee who was killed on his first day of work at a Bacardi factory in Florida, and how his mother, younger sister and brothers have struggled to make sense of his death. The film is also an indictment of the $100 billion temporary staffing industry, which creates a wall between workers and employer, blurring whether the temp agency or contracting company is responsible for workers’ training and safety. The film looks to remove that barrier and put companies and staffing agencies on notice. Due to inadequate job training and safety education, temporary workers are 50 percent more likely to be injured on the job than regular workers in Florida, says Michael Grabell, a ProPublica investigative reporter, who was interviewed in the film and wrote a series of articles on the hazards associated with the temporary work industry. Day Davis was not only a temp worker who died on the job, Grabell says, but he died on the job because he was a temporary worker. In some scenes, the editing is overly dramatized and in others, camerawork is shaky, but what those who study, investigate and regulate the temp industry had to say was portrayed with a punch, and those who are perhaps most affected — the family members of a victim whose employers considered disposable — communicated both the personal and the bigger picture. “Everywhere the temp industry goes, it helps employers to depress wages, and to strip away workers’ rights and benefits,” labor researcher George Gonos says in the film. In the case of Day Davis, the temporary worker industry also stole a family’s oldest son. A Day’s Work screens at IBEW Local 3 auditorium on May 15 at 6pm. This educational documentary short shows the dangers and exploitation faced by poor women, including young girls, working in the bangles jewelry industry in Pakistan. A mother of seven children says she and her daughters earn about $2 per day making the metal bracelets in the bangle market in Hyderabad. Others say the chemicals used in producing the jewelry pose serious health risks, like tuberculosis. Working by candlelight and with open flames, the film’s subjects add that they have no other economic opportunities. And they earn so little they can’t even afford to buy the product they make. The women’s main hope for change is organizing with the Labor Education Foundation, which has worked with home-based women workers since 2000 (and which produced the film). With the foundation’s help, women formed the Bangle Workers Union, which is challenging bangle factory owners and calling for higher wages and workers’ rights. While the voices of health professionals and government officials are missing from the film, the short achieves a lot in under 14 minutes: It introduces and exposes the inhuman exploitation of women in a local industry most outsiders likely don’t know exists. Daughters of a Lesser God screens at Cinema Village on May 11 at 8pm, and at the auditorium of the Lithographers Union, Local 1 on May 19 at 1pm. A 13-year-old boy works alone in a factory in Faisalabad, Pakistan, in an industry in which his brothers also work due to their family’s poverty, the boy says. They don’t attend school. This documentary short (also produced by the Labor Education Foundation) focuses on another exploitative industry that utilizes child labor: textiles. The power loom workers usually work 16 hours per day, earning between $4 and $6 daily, and receive no social security or health benefits, according to an older worker. Many suffer from lung diseases due to cotton dust inhalation. But in the face of these abuses, workers have spurred a movement, gaining political support from the Labor Party in Pakistan. The workers, some who have been locked inside loom factories by their employers, are joining mass marches and calling for national labor laws to be enforced. When a factory owner is confronted about employing children, his denial is triumphantly countered by a young boy, who says he is 5 or 6 and works in the textile factory. The burgeoning labor movement in this industrial Pakistani city seems to be the best fighting chance for workers, including children, to defend their rights and seek better conditions for themselves and the next generation. Rise of the Oppressed screens at Cinema Village on May 11 at 8pm. Foreign aid is not all it’s cracked up to be. Some, including the advocates, economists and businesspeople interviewed in this documentary feature, have been saying for years that Western governments, nongovernmental organizations and international financial institutions have developed a big-business system of paternalism — or neo-colonialism — that has been largely ineffective at bringing people in developing nations out of poverty. Western help, they say, should focus on offering a partner’s handshake and putting people to work rather than giving a handout and making them dependent on aid. In Haiti, Western nations’ agricultural subsidies and foreign food aid destroyed the Caribbean nation’s domestic rice industry by flooding markets and forcing producers to compete, impossibly, with free food. After the 2010 earthquake, Haitian entrepreneurs whose company builds solar-powered street lamps and employs 60 workers say their business was similarly hurt when free solar panels were being donated by foreign NGOs. “The short-term natural disaster turned into a long-term unnatural disaster,” according to Daniel Jean Louis, of Partners World Wide, Haiti. The film’s pro-business solutions emphasis had the effect of putting the onus on individual entrepreneurs (granted, every doc has heroes), and letting lawmakers and policymakers somewhat off the hook. Surprisingly, worker-owned cooperatives were not mentioned as an alternative model. Poverty Inc. did include a welcome economic analysis: Poor people in many developing countries don’t have access to capital, property titles, court protections and other things that are needed to start businesses and create jobs that Westerners take for granted. As the filmmakers point out, Tom’s Shoes, Bill Clinton and Bono have started to come around and realize the errors of the foreign aid industry’s ways, but there is still much work to be done. Poverty Inc. screens at Cinema Village on May 12 at 6pm. For ticket information and more details, visit the festival’s website.